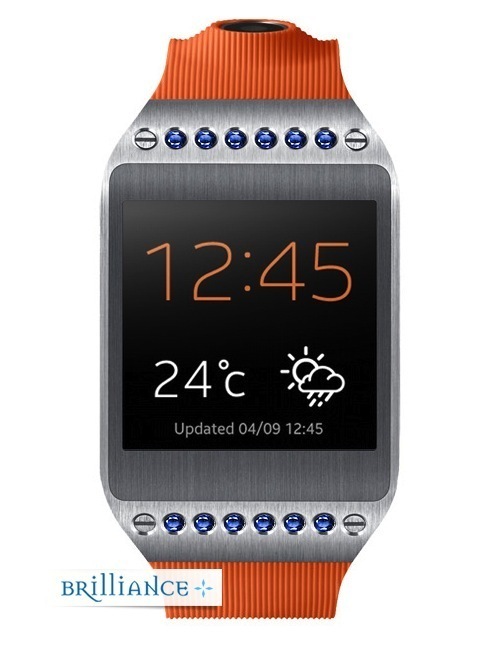 In this tech-filled world, many people try to find new and unique ways to personalize their electronics. 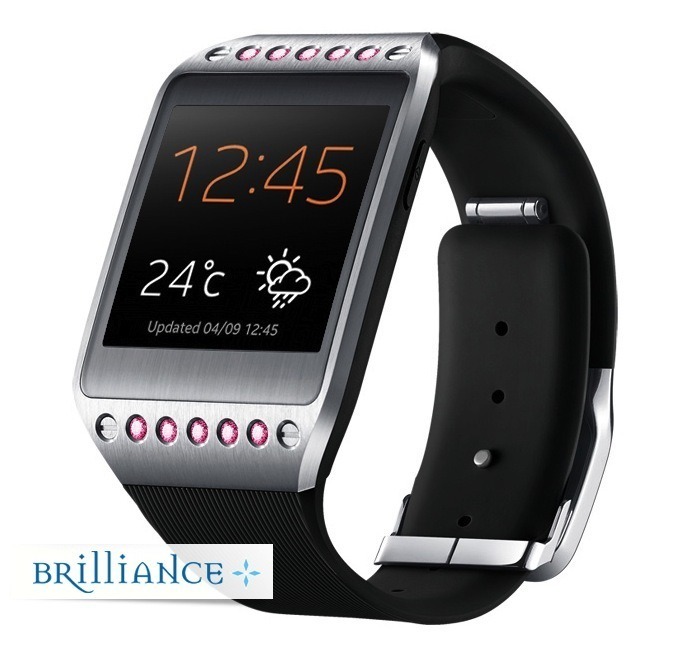 At Brilliance.com, we believe that when it comes to wearable tech, individuality is key and we want to help. 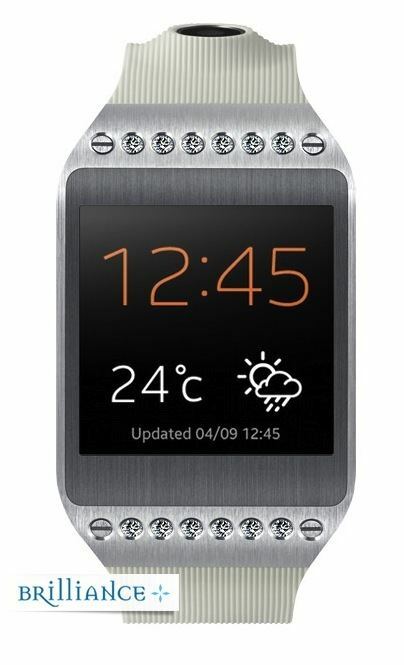 By combining the work of our custom jewelry designers with one of the most popular tech gadgets on the market–the Samsung Galaxy Gear 2– we’ve created a stunning, classy and outright entertaining variation on the already popular tech. We were inspired by the sleek, professional design of the watch, and wanted to add a little glitz and a splash of color to the brushed stainless frame. Featuring a total of ten stones, our custom designers will help you choose the perfect stones to convey your personality and pizzazz. Our latest collection of blinged out technology features four round cut stones across the top of the watch and six at the bottom. Choose from professional-looking diamonds, sophisticated blue or pink sapphires, radiant rubies, or elegant emeralds to customize your Galaxy Gear 2 in the most brilliant way. The bezel settings securely hold your gems in place while adding a glamorous element that doesn’t overwhelm the sleekness of the watch. As always, our lifetime guarantee shows we stand behind all our work, and the custom blinged-out designs are no exception. To start customizing your Samsung Galaxy Gear 2 or any other piece of tech, please contact one of our talented diamond and jewelry experts at 866.737.0754, or get a quote for your choice of custom jewelry online.